Reimaru gets its hands on the new tap-tap RPG that comes to android town, and here’s what we have to say about Boomzap’s new mobile title. 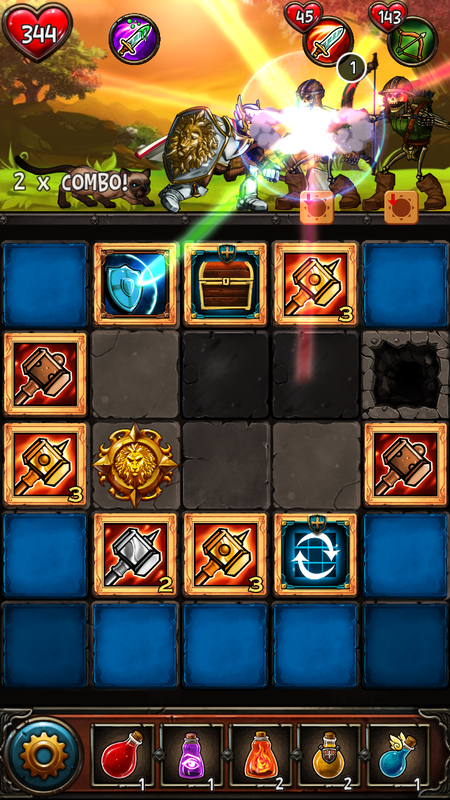 2D tap action RPG with a touch of board game discipline, that’s how we describe Boomzap Entertainment’s Super Awesome Quest, following mechanics from traditional mobile RPGs involving a lot of tapping, and mechanics like crafting while incorporating a unique mechanic which involves tapping tiles for more effective attacks and moves, which may feel random at first but in actuality rather more complex than what it looks. Super Awesome Quest sports a visual design similar to popular Flash and Browser RPGs with vibrant colors and thick outlines, with its theme centered around medieval fantasy, players get to choose between a Paladin or a Valkyrie as their starting character, each having their distinct attributes, later in the game though, players can get control of both characters no matter who they choose as a starter. There is also a third character, the Magnificent Mage, is said to be available but we haven’t found him in the game just yet. Greg the Paladin ready to take on some skeletons. 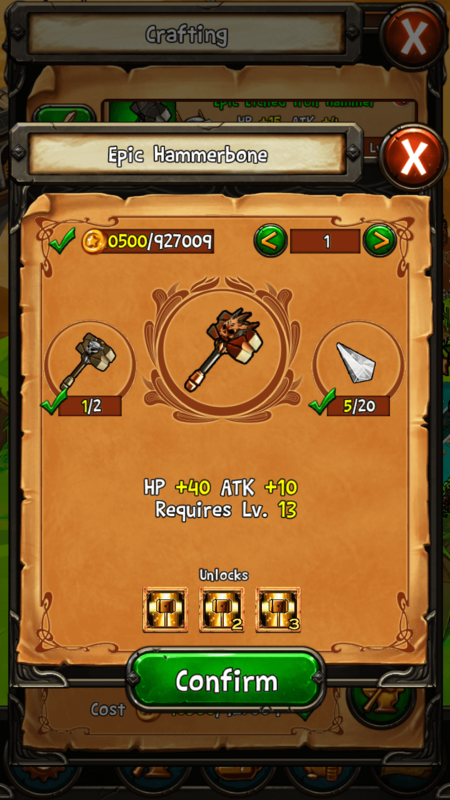 Perhaps the most unique mechanic Super Awesome Quest offers is its token-tap battles which we roughly compared to card games, tapping tiles that either have different Attacks, Attack Effects, or Powerups would then unlock other tiles, which would then unlock other effects. The complexity comes from knowing the patterns on how you tap the tiles to “guess” the results on whether the next attack has a much more powerful effect, or you get another effect than make or break your battle. 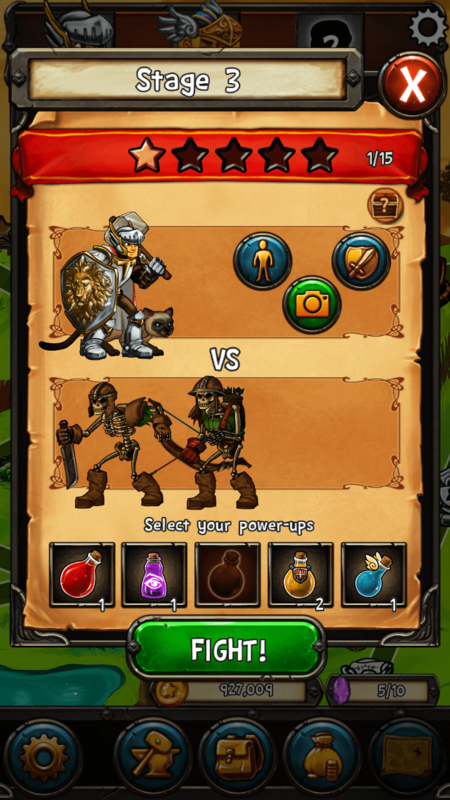 The Super Awesome Quest battle screen showing the both tapped and untapped tiles. In addition to tiles containing attacks, other tiles also grant other effects such as powerups for Damage and Defense, heals, or even random treasures which can be used for item crafting. Powerups such as potions are also available for players to use in PVE battles. Talking about items, crafting is the only option for players to acquire stronger gear, levels have very minimal effect to the overall attributes of characters as more emphasis is given on item progression. Knowing that this is the case Super Awesome Quest resulted in being too grindy, as some stages get repeated over and over just to acquire just enough resources to upgrade or craft new gear. We’d like to stress the being grindy part as this greatly affects the game’s replay value and player retention, while Super Awesome Quest features a more different approach towards mobile RPGs, the thought of doing the same tasks on the same stages over and over just to progress in game may possibly give a not-so-good impression to players, and may just result in end-users doing the game for one run and completely forget about it right after. Overall, Super Awesome Quest features an awesome approach towards awesome RPGs with their awesome boardgame-like-tap-tiles-to-battle mechanic which results in awesome PVE fights with very unpredictable results. While grindy at most, Super Awesome Quest is still at its early stage and hopefully we’ll all be getting awesome updates and gameplay tweaks in the future to make the game more super awesome. 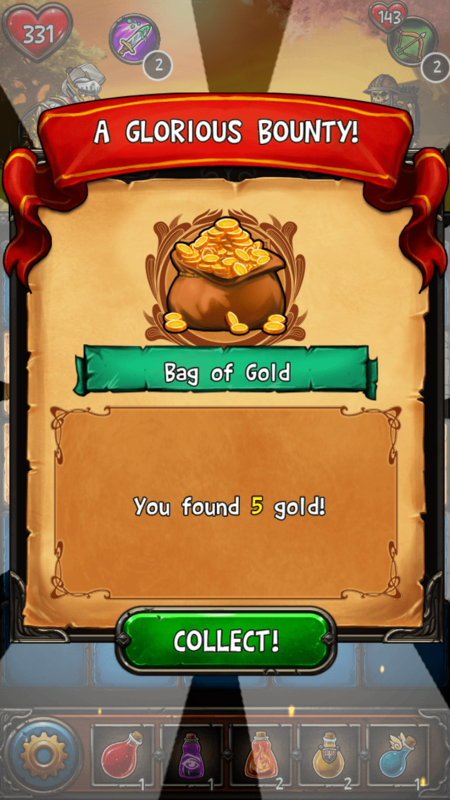 4 Responses to "Super Awesome Quest – First Impressions"
wow, this game is surprisingly addictive!